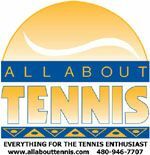 The All About Tennis Junior Satellite Circuit is a series of non-sanctioned tournaments for juniors with little or no tournament experience. All players are guaranteed at least two matches. The tournaments are singles only and main draw matches are 2 out of 3 sets, no ad scoring with a 12-point tiebreak at 6-6. A 10-point match tiebreak will be used for the 3rd set. Consolation rounds will consist of an 8 game pro set with a 12-point tiebreak at 8-8, except for the finals. During the year, players receive points for matches won - the top 16 point finishers in each age division qualify to play in the Grand Masters Invitational Championship at the end of the year. Players reaching the quarterfinals in any sanctioned tournament, inside or outside the Phoenix area, with 2 "played" wins in the boys' or girls' 12s, 14s, 16s, or 18s must move up to the next age division in the Satellites. Players who win two Satellite tournaments in their age division must move up to the next age division. Any errors in eligibility may result in a default.